Obedience can overcome ruinous choices, and with repentance of wicked ways, God’s faithful forgiveness and mercies never fail. Set in the afterglow of the Azusa Street Revival, this epic addition to the Texas Romance family saga sweeps through three decades of triumphs and tragedies—from the Texas Hill Country to the beaches of Normandy and beyond. The faithful flock to his father’s tent where Buddy Nightingale leads praise and worship, but like King David, the young psalmist battles a generational curse, lust. 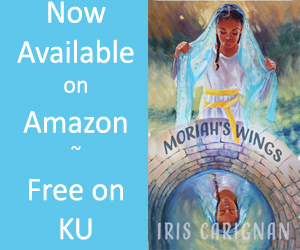 On his first night back in Marble Falls, Texas—the place he heard the angels sang fifteen years prior—he beholds Sandra Harris, an eighteen-year-old beauty, attending strictly for the entertainment of the Spirit filled meetings. Love strikes both, but her Church of Christ father wants no part of any holy roller. Sometimes choices we make take us places we never intend to go, but God . 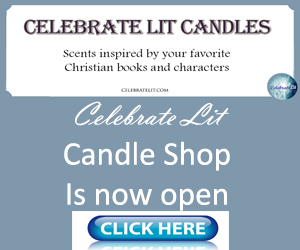 . .
Caryl McAdoo prays her story brings God glory, and a quick scroll through her novels’ rankings by Christian readers attests to the Father’s faithfulness. She loves writing almost as much as singing the new songs He gives her—look her up on YouTube to hear a few. Her high school sweetheart husband won her heart fifty-one years ago, now they share four children and seventeen grandsugars. Ron and Caryl live in the woods south of Clarksville, seat of Red River County in far Northeast Texas, waiting expectantly for God to open the next door. 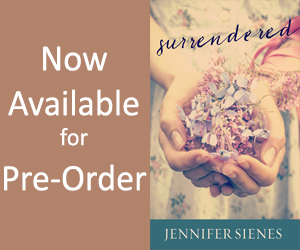 Here’s the funnest part of this launch—book ten, the last story of my Texas Romance Family Saga that covers five generations of three families over more than a century—CHIEF OF SINNERS was the “first” one written over twenty-five years ago! When we wrote CHIEF—yes, “we”; my husband Ron (of 49 years!) and I write everything together, have since the beginning. Neither of us would ever have made it on our own, but together, we had ten books published by five houses, including Howard Books before we went Indie. Why isn’t his name on the covers? The answer though is that our New York agent AND the Simon and Schuster editor both said only one name was better and that it should preferably be female. So, we took their advice. It works great for us since he doesn’t like marketing, while that’s a favorite part for me—getting to make so many new friends, bonding with readers from all over the world. So, back to the CHIEF; when Mary Sue Seymour (God rest her precious soul) told us to write a historical Christian romance set in the 1800s, Ron and I started talking about our heroine and where she’d come from and what her crisis would be. As the premise formed, the Lord gave us the wonderful idea to use the same last names as our characters in CHIEF OF SINNERS. We figured as we wrote one novel to the next, we would eventually get to 1926 when CHIEF opened with hero Buddy Nightingale and his father Nathaniel pitching their revival tent in the small Texas Hill Country town of Marble Falls. Twelve in 1926, Buddy is the fourth generation from Rosaleen ‘Sassy’ Fogelsong Nightingale Baylor, heroine of book two in the series HEARTS STOLEN. Buddy’s father is the son of Charley Nightingale—Sassy’s four-year-old who readers fall in love with in her story. MIGHTY TO SAVE, book nine, 1921-1924, was the one where all the loose ends had to be tied to get us into the 1926 circumstances of CHIEF. Only a few dates and minor details had to be changed editing CHIEF, but things had to happen in MIGHTY to open CHIEF OF SINNERS. My characters are not perfect people. They sin as we all do. Some of them have disappointed readers—some also disappointed me. No doubt I did things to disappoint my mother. Every one of us face battles and bad choices we have to live with. What is important for all (us and my characters) is coming to repentance, turning back to God, then walking in obedience from that point forward. I hate to think CHIEF is the last. I still can’t imagine leaving these families behind. The next story, SON OF PROMISE coming in January, is a story of Travis and Emma Lee Harris Buckmeyer’s life together (readers meet them in CHIEF), so there will be guest appearances by many readers will recognize. And I—we—have started KING OF TEXAS, a new contemporary romance, with “Patrick” Henry Buckmeyer, named after his great-grandfather my readers know as Henry. So, maybe they will always be with me after all with a new story here and there. I pray God blesses you and that you enjoy CHIEF OF SINNERS!